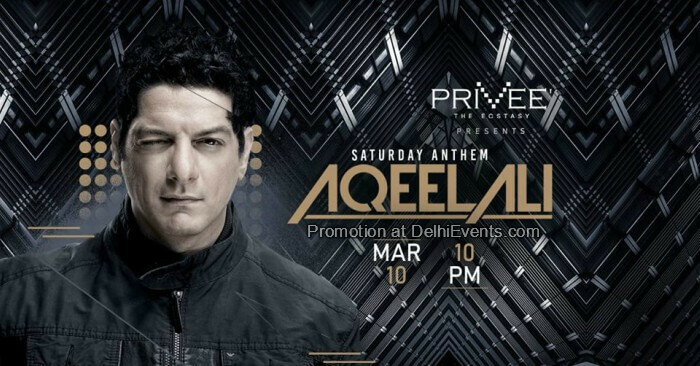 DJ Aqeel, aka Aqeel Ali, has been rocking the dance floors across the globe for more than a decade. He is among the first few to pioneer Bollywood remixes and dance music in India. He significantly changed the way Bollywood music and dance music saw each other. His works have won him fans and admirers all over the world. He began his musical ride in 2000 and since then there was no turning back. He is the only Indian DJ to fill up concert size venues internationally. Besides playing for every renowned celebrity, he has also been the only DJ to play twice at the World Economic Forum in Davos (Swiss) representing India and entertaining the likes of Bill Clinton, Kofi Annan amongst others.